The 2019 Play for Kate Golf Scramble will be Saturday, Aug. 31st at Boonville Country Club. "Play for your team. Play for you. Play for your family. But most of all play for that little girl in the stands that wants to be just like YOU!!" "Attitude is everything…pick a good one!" Play for Kate in the news! Ashlee was interviewed by the Evansville Courier & Press about Play for Kate as part of their "American profiles" series. Click here to read the article! Kate Bruggenschmidt was an energetic, driven, and kind-hearted 11 year old who impacted all who had the privilege of knowing and loving her. 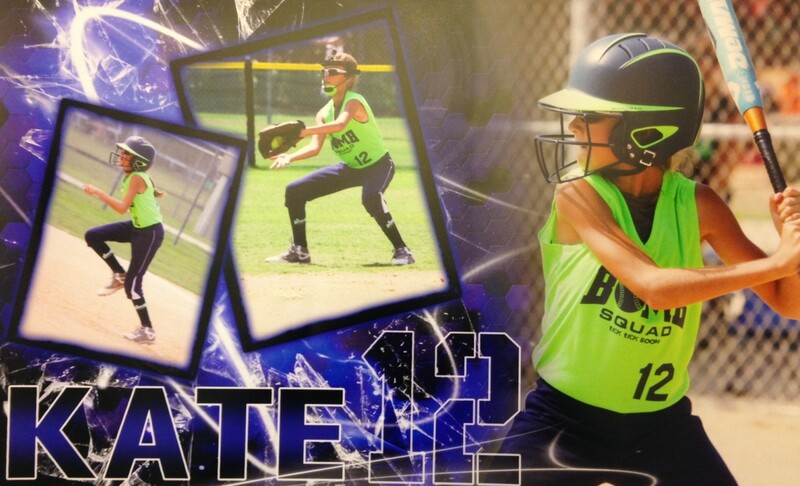 On July 26, 2015, Kate's Bomb Squad 04 Team won a softball game early in the morning and Kate and some of her teammates went to one of their houses to hang out between games; tragically Kate died there in an ATV accident. With one phone call, on one ordinary day, life as we knew it changed forever. Life is short; no one is guaranteed tomorrow. Parents- take time to tell your kids you love them, you are proud of them, and apologize when it is needed. Kids- tell your parents you love them, hug them, and thank them for the sacrifices they make for you day in and day out. Kate's family wants to encourage everyone to make a positive impact EVERY DAY (that is what Kate did). Kate had a positive attitude, worked hard at everything she did, and was a kind and loving teammate/classmate/person. This is what Play for Kate is all about....that is what LIFE is about. It isn't about wins or losses or balls and strikes....but about being a good person, working hard, and having a positive attitude. Kate may have only been here 11 years, but she made a difference....a difference that will live on forever in the hearts of all of us....and we challenge all of you to do the same! The Play for Kate foundation is excited to continue our scholarship program for a graduating senior in the class of 2019! Click here to learn how to apply!